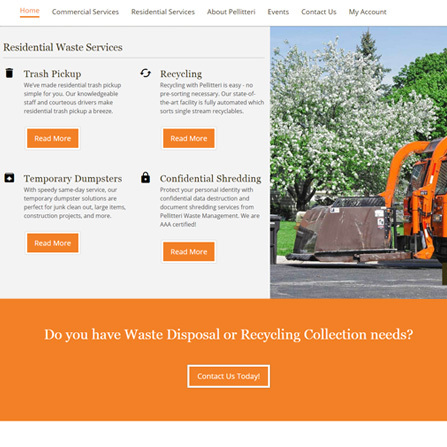 Pellitteri Waste Systems is a waste management company that provides trash pickup, recycling, temporary dumpsters, compacting, and confidential shredding services throughout southern Wisconsin. 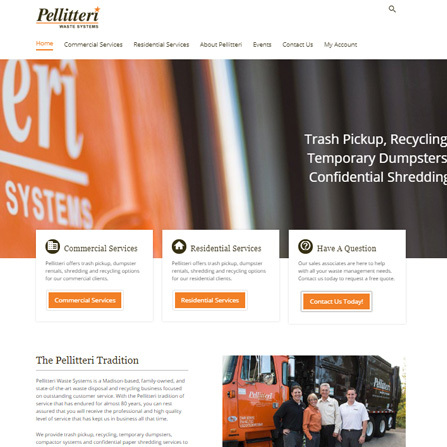 The main objective for Pellitteri's new website was to streamline the massive amount of content provided to their viewers in an efficient and easy to navigate way for both desktop and mobile users. The easy-to-use and powerful content management system that the website was build upon allows for Pellitteri staff to maintain the majority of their content changes internally. 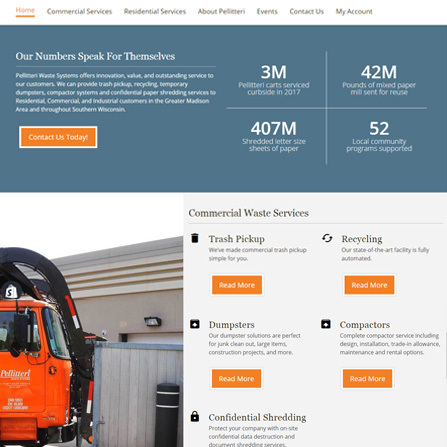 A brand new website design with stunning photography and videos puts Pellitteri's new website above and beyond most waste management company websites in their area. Start turning your web investment into real results. Contact Us Today! Keep up on our always evolving products, features, and technologies. Don't worry, we won't share your contact information with anyone. Scout's Honor.